JetBlue is fined by the Department of Transportation for failing to notify passengers that they had the right to exit a plane that was stuck at the gate for nearly three hours. JetBlue has been hit with a $90,000 fine for failing to inform passengers that they had a right to exit a plane that was stuck at a gate at John F. Kennedy International Airport earlier this year. This is the first fine that's been issued for violating this provision in the new passenger bill of rights. 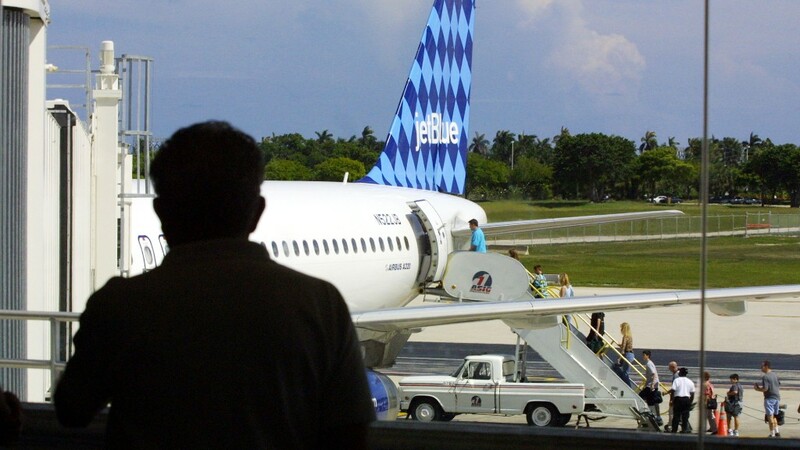 Rules put in place by the Department of Transportation last August required JetBlue (JBLU) to notify passengers 30 minutes after the flight's scheduled departure time that they were allowed to leave the plane, and to repeat that notification every 30 minutes thereafter. But JetBlue failed to follow these regulations during Flight 645 on March 3. The flight, which was scheduled to depart New York's JFK Airport at 7:30 p.m. and arrive in San Francisco at 11:16 p.m. local time, began boarding at 7:06 p.m. But it did not depart until 9:55 p.m.
"Airlines may not leave passengers stranded indefinitely aboard an aircraft, whether on the tarmac or at the gate, and passengers must be told if they are able to leave the plane," said U.S. Transportation Secretary Ray LaHood in a statement about the fine. The rule was the second part of a passenger rights bill that the DOT started putting in place in April 2010. The first rule prevented an aircraft on a domestic flight from remaining on the tarmac more than three hours without returning to the gate to give the passengers a chance to get off. "Our policy regarding onboard ground delays, outlined in our Bill of Rights, is industry-leading," said Tamara Young, a corporate communications manager for JetBlue. "However, we did not provide our customers with regular updates in this instance. This is not an example of the JetBlue experience. For this, we fully acknowledge our fault and will comply with the DOT ruling. We now have a solid plan in place." The move to put passenger rights in place was sparked by delays on numerous JetBlue flights during an ice storm that hit JFK in February 2007 and stranded hundreds of passengers -- some for more than eight hours. 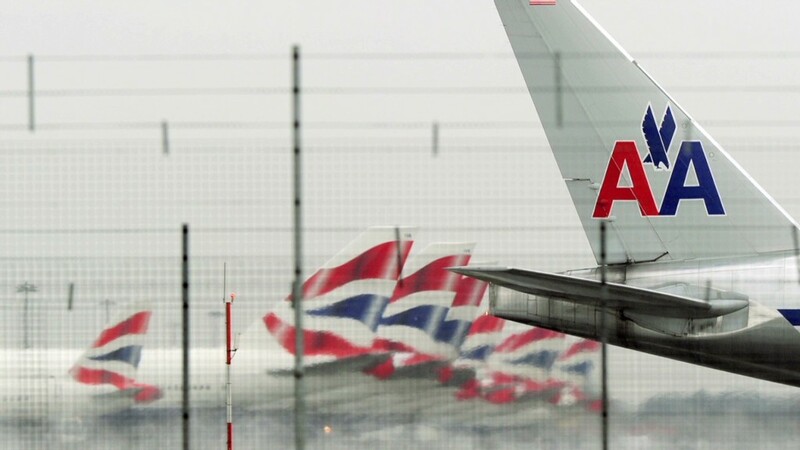 But the only airline to be fined for violating the tarmac delay rule so far is American Eagle, which was hit with a $900,000 fine in November. Kevin Mitchell, chairman of the Business Travel Coalition which represents air passengers, said he was pleased to see the DOT enforcing the rule, even if $90,000 seems like a modest fine for a company that made an $86 million profit in 2011. "Probably the bad press is more important than the $90,000, so I think it will have an impact," he said. "But the margins for airlines are thin, so you have to fly more than a few flights to make up that $90,000." --CNN's Aaron Cooper contributed to this report.